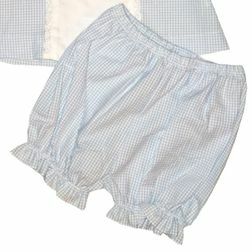 A very sweet light blue gingham top and bloomers set for baby girls by Claire & Charlie. 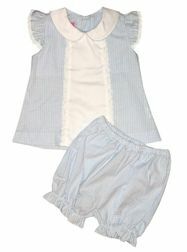 The top has a center white panel perfect for monogramming. 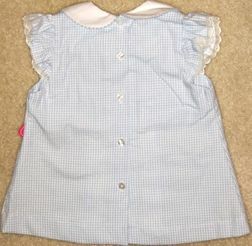 The panel is trimmed with Swiss eyelet as are the flutter sleeves. 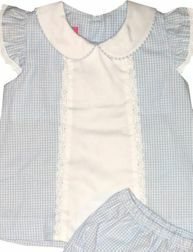 The Peter Pan collar is piped in the same light blue gingham. Love it!